Radish is a high fibre root vegetable. 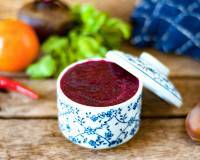 Regular intake of radish help one remain younger and healthier. It protects us from seasonal cold and cough that is prevalent in this monsoon season. 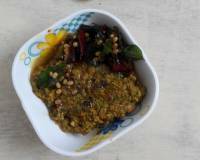 The Mullangi Thogayal is a spicy chutney that tastes great when mixed with rice and ghee. 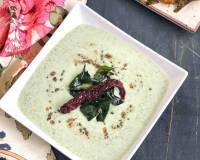 It can be a great side dish for rotis or phulkas. Radish is grated and is sautéed along with ginger, tamarind and chillies. They are then coarsely ground along with roasted lentils. 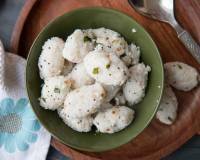 The pachadi is a quick gluten free and vegan recipe. 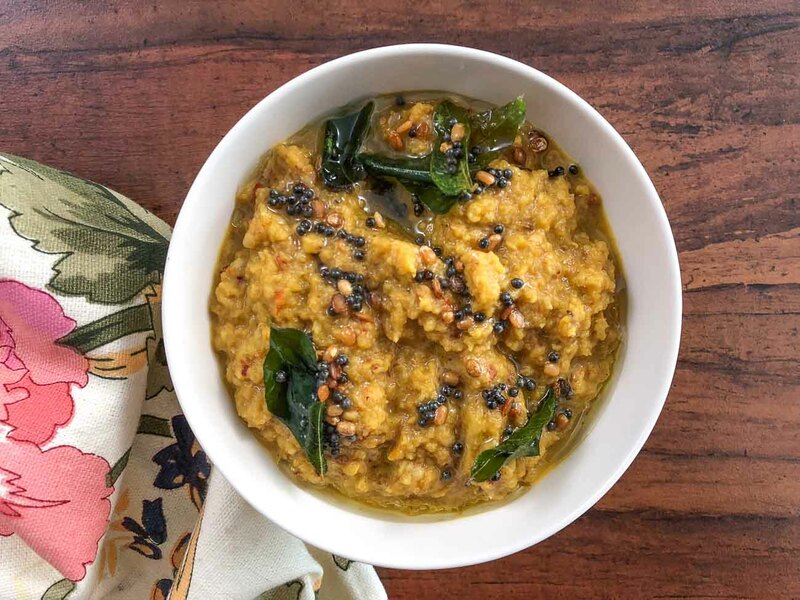 Serve Mullangi Thogayal along with Tomato Onion Sambar, Elai Vadam and Steamed Rice for a wholesome weekday meal. 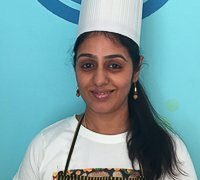 To begin making the Mullangi Thogayal recipe, heat a pan over medium heat. 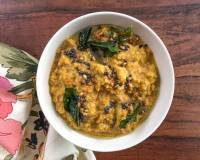 Add the Urad dal and red chillies and roast until dal is lightly browned. 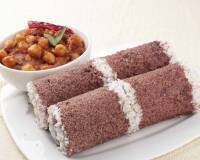 Once roasted, add the grated radish, salt, coconut, turmeric powder and asafoetida. Saute until the radish (mullangi) is softened. Once softened, add the cooked mullangi thogayal ingredients into the turbo chop along with the soaked tamarind and make smooth paste. Add a little water if required while grinding. Once done, transfer to a serving bowl. 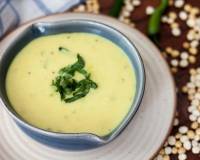 For the tadka, heat oil over medium heat; add the mustard seeds and urad dal and allow the dal to roast and turn golden brown. Stir in the curry leaves and pour the tadka over the Mullangi Thogayal.